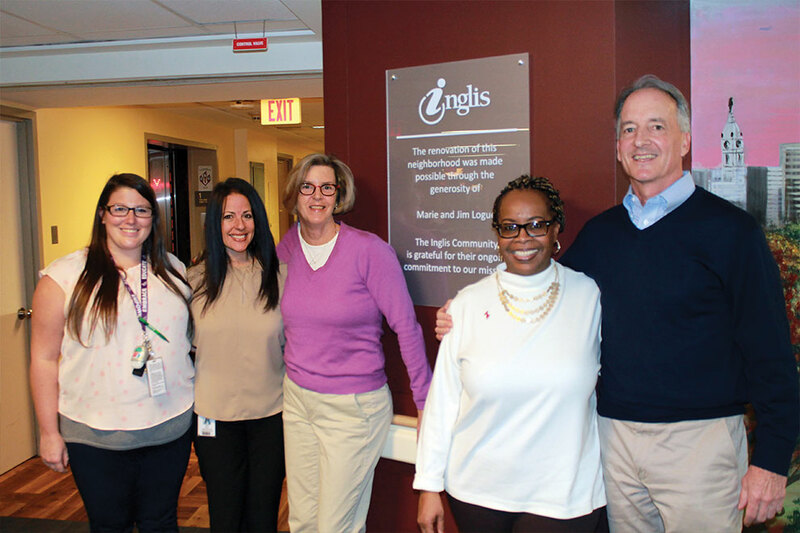 Several years ago, Inglis began its transition to a Person-Centered model of care — one that makes resident preferences and choices a priority — and away from the old, institutional way of living. Our hospital-like environment was converted to one that looks more like home. We silenced noisy call bells, reduced overhead paging, softened the lighting, and eliminated fixed bathing and dining schedules, among many other changes. Today, the former “nursing units” have become six neighbor-hoods. 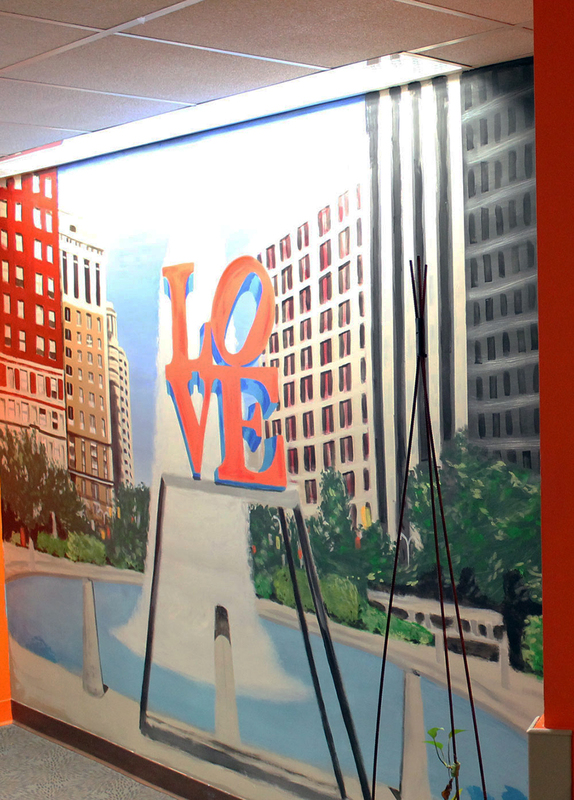 Visitors to each neighborhood are greeted by a custom, hand-painted mural, depicting a theme chosen by residents and staff. variety of alternatives made on the spot by a neighborhood homemaker. Hallways have attractive new floor coverings and colorful walls are lined with “memory boxes” that tell the stories of residents living there. The traditional nursing stations have been replaced with more welcoming, accessible areas. As attractive as the new surroundings are, Person-Centered Care at Inglis goes much deeper. Residents, staff and family members attend Person First education sessions, where they explore the model’s values, learn improved ways of communicating and share what “creating a home” at Inglis means to them. Person-Centered Care would not be a reality at Inglis without our many generous donors. We thank them for their extraordinary commitment to improving the quality of life for our residents. Marie and Jim Logue, Vice Chair of the Inglis Board, sponsored the renovation of the 1North Neighborhood and are greeted by staff working there. Left to right: Gwenn Vilade, Recreation Therapist; Anna Shore, Neighborhood Life Leader; Marie Logue; Jo-Anne Moodie, Neighborhood Clinical Leader; and Jim Logue. 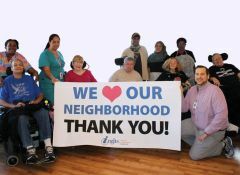 Proceeds from the 2016 and 2017 Inglis Golf Outings are being used to fund the transition to Person- Centered Care on the 2North Neighborhood. 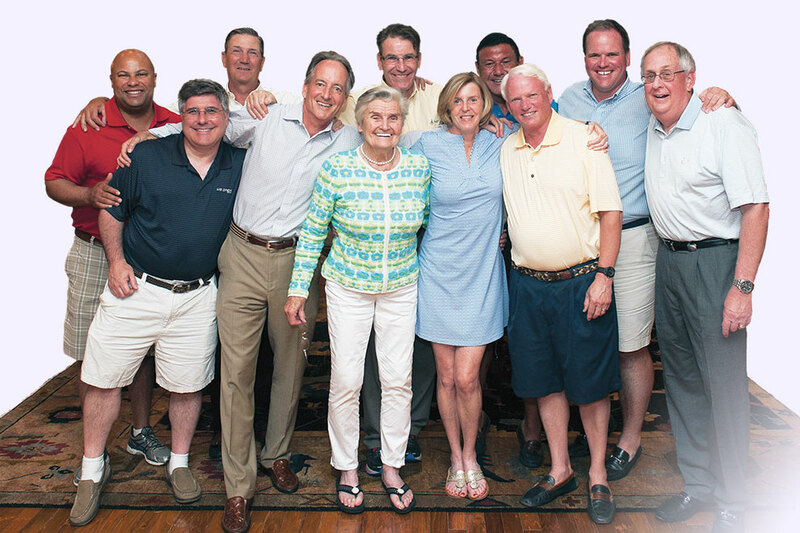 Throughout the past 16 years, the Inglis Golf Outing Committee has raised nearly $2M to fund transformational projects at Inglis. life for Philadelphians, sponsored the renovation of the 3North Neighborhood at Inglis. 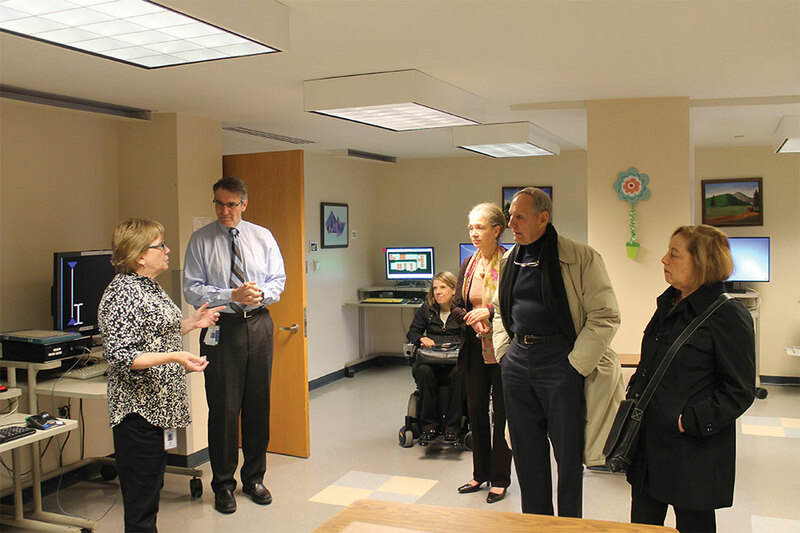 During their visit, (center, right to left) Greenfield Trustees Deborah DeLauro, Trustee Edward A. Montgomery and President Priscilla Luce toured our Adapted Technology Lab and heard about its capabilities and services from (left to right) Lab Director, Dawn Waller, Inglis President and CEO Gavin Kerr and Board President Lauren DeBruicker. Our 2South Neighborhood was sponsored by the Connelly Foundation, whose members visited to see how their generous contribution created a homelike community for residents. 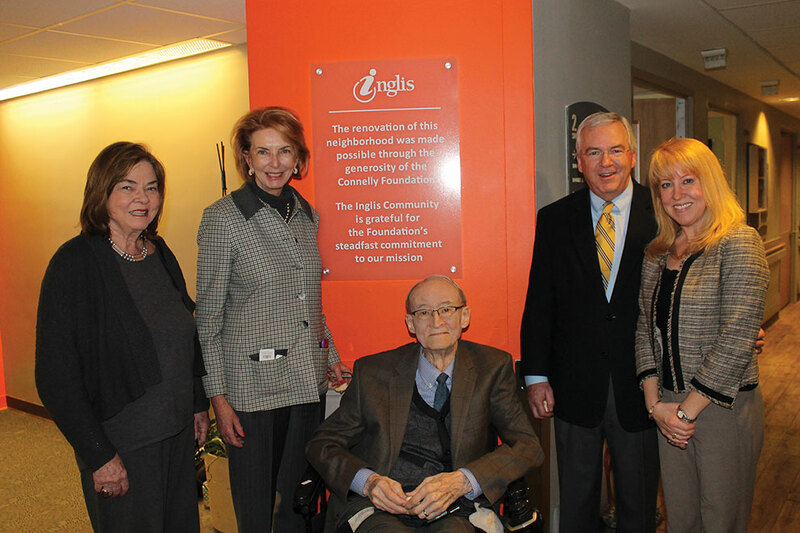 Left to right: Connelly Foundation Executive Vice President Emily C. Riley, President and CEO Josephine C. Mandeville, Senior Vice President and Trustee Lewis Bluemle, Trustees Tom Connelly and Caroline Mandeville. 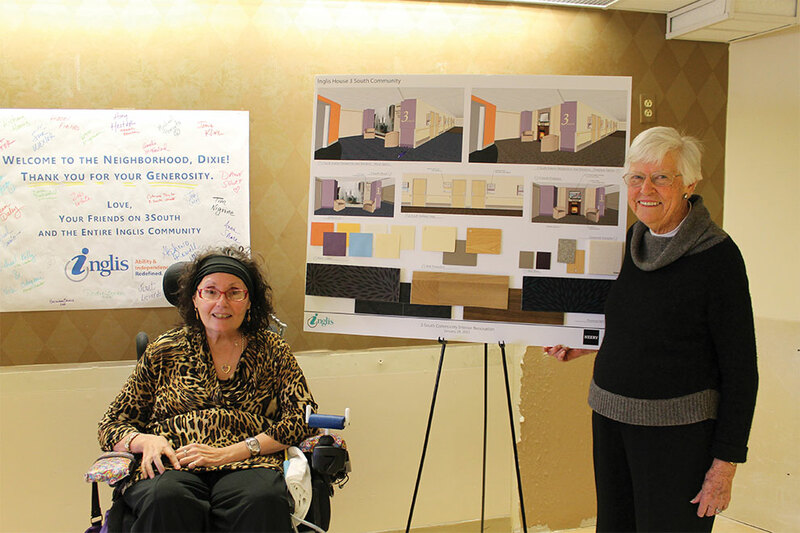 Former Inglis Board Chair Dixie Wigton generously funded renovations to our 3South neighborhood. At left, she and neighborhood resident Mary Czyzyk review the builder’s plans.